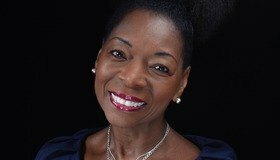 Baroness Floella Benjamin of Beckenham OBE - actress, author, businesswoman, award-winning producer, children’s television presenter, best known for appearing in the BBC iconic Play School and Play Away. She was elevated to the House of Lords in 2010; her mission is to make the world a better place for children. Join her for a truly inspiring event as she talks about her childhood memories and the journey she made as a youngster from Trinidad arriving in a cold and unwelcoming England in 1960 to embark on a very different life with her family. Floella shows how having the courage to believe in herself helped her – and can help other children – take on new challenges and overcome adversity.